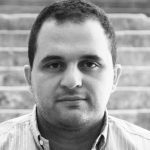 The minimum wage in Lebanon was increased three years ago from 500,000 ($330) to 675,000 ($450), yet a lot of people here still think it’s not enough and that it should be drastically increased. There’s no doubt that you can barely live with $450 in Lebanon given how expensive things are now, but that’s not a reason to increase the minimum wage as this could lead to serious economic problems (there are other ways to improve living standards). 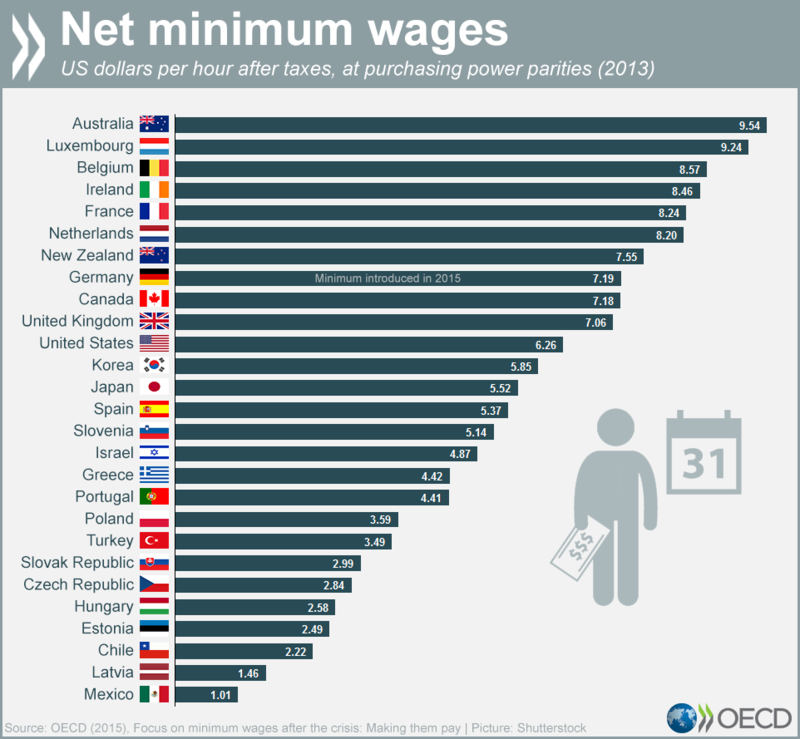 I will not dig into this issue as it’s a very complicated one, but I was reading yesterday a chart published by the OECD, Organization For Economic Cooperation and Development, showing the minimum wages in 34 different countries and I thought it would be a nice idea to see where Lebanon stands on that chart. Since the chart is showing the cost per hour after taxes, we need to compute the cost of 1 working hour in Lebanon according to the Labor Law. Thank you Elie for the help! Qatar’s minimum wage is around 3$ / hour for public sector according to the law . You can check out the law over here and scroll to page 55. 2200 QAR / month for lowest grade (13th) and for 40 working hours / week. This doesn’t take into consideration the benefits and allowances. I’m pretty sure you can find the laws for other GCC countries online. The federally approved minimum wage in the US is $7.25 per hour. I am not sure what that $6.26 is. Also most states have a minimum wage of over $7.25 and some reaching more than $9. Just for clarification. Small issue : the OECD values are calculated at purshasing power parity. Instead you would have to use a PPP exchange rate. I found 1036.11LP/1UDS (IMF). So this would mean that our 657 000 is worth 634$PPP, = 3.37 to 3.78 per hour. Which would actually put leb between Slovakia and Portugal.